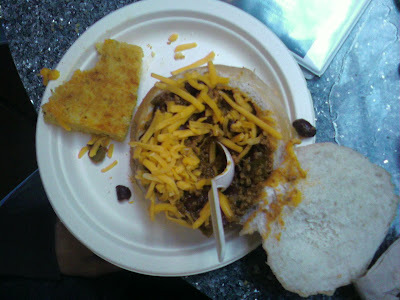 Our favorite weekly event, chili day in the Retreat returned today! We don't know how we survived the summer without it. Note that the chili pictured above was not actually ours. We prefer vegetarian. Cappy opted not to have the chili, but instead was spotted eating an omelet and carrots.